3. “Open Research Data” (http://hdl.handle.net/2429/30095) was an engaging session presented by Heather Piwowar, DataONE postdoc with Dryad and NESCent, UBC and who is also known as @researchremix if you are following us/cIRcle on Twitter! 4. Learning about the UBC Wiki (http://hdl.handle.net/2429/30094): it went live in 2009; has received over 2,018,521 page views; and it is labeled as “Gardening the Wiki” since it is a growing open access tool used for and by the UBC community to create, store, and share, for example, course related information and other UBC resources. 5. David Eaves, an expert in public policy, open government and open source methodologies, presented a riveting presentation (http://hdl.handle.net/2429/30133) on the importance and rise of the open government in our digital age. He also touched on how universities’ faculty and students could benefit from open government data research and opportunities as they relate to the increasing open access movement. 6. UBC’s John Willinsky and two other distinguished OA advocates shared a lively panel discussion about scholarly rights and responsibilities. Be sure to watch the recorded webcast in cIRcle at: http://hdl.handle.net/2429/30132. 7. Last, but not least by any means, the recorded Keynote event webcast, “The Case for Open Data and eScience” (http://hdl.handle.net/2429/30130) by G. Sayeed Choudhury, John Hopkins University. 4. During an average week in 2010, 10 new OA repositories were launched and 115,000+ new items in the OA repositories global network. 5. PubMed Central Canada was officially launched as a joint project of the National Research Council’s Canada Institute for Scientific and Technical Information, the Canadian Institutes of Health Research, and the US National Library of Medicine. 6. Canada’s National Research Council announced the first steps toward a Canadian Virtual Health Library (CVHL) – joint project of the Canadian Health Libraries Association (CHLA) and the Canadian Institutes of Health Research (CIHR). 7. 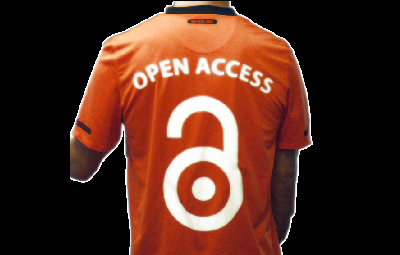 SFU has signed to COPE (Compact for Open Access Equity), partner to the larger Public Knowledge Project (OA journal and monograph hosting) in BC. Above image is courtesy of the Open Access Week (openaccessweek.org) website. Unless otherwise identified, most of the sources listed above are courtesy of the SPARC Open Access Newsletter, issue #153 by Peter Suber published online on January 2, 2011.